Partisano now in Barcelona, plus Obrint Pas…. 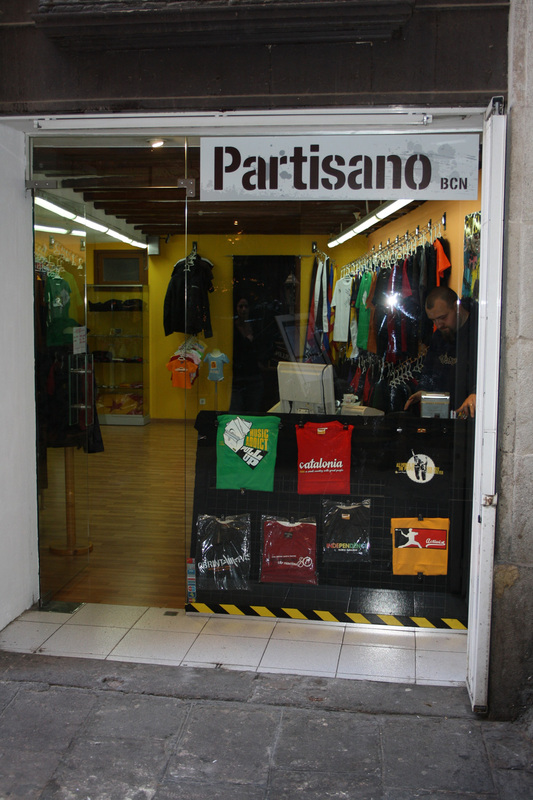 Our good friends at Partisanowear Catalunya now have a physical shop in the center of Barcelona. This is great for them, good for us, and good for you as well. Besides the much appreciated Partisano shirts, as well as the bands they represent (most notably Obrint Pas), you will also find there a basically complete selection of Fire and Flames clothing. As if there wasnt enough reasons to visit Barcelona, here is even one more. The shop is located at C/ de les sitges number 8, very near to the touristy Rambla section of town. Finally, while we anxiously await Partisanowears new collection (in a few weeks), we have two classics, „Stop Control“ and „Puny“, in new color schemes! Du browst gerade in den Fire and Flames Weblog-Archiven nach dem Tag 'stop-control'.